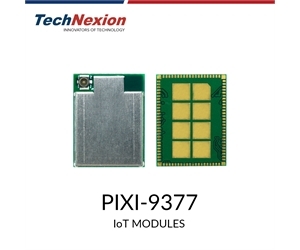 TechNexion PIXI-9377 delivers all your IoT multi-mode communication needs in one ultra-compact and secure System-in-Package module. Based on Qualcomm Atheros QCA9377 System-in-Package (SiP) supporting 802.11 a/b/g/n/ac Dual-Band 1x1 and Bluetooth 4.2 (BR+EDR+BLE). It offers the latest and most stringent security and robust radio performance for noisy industrial environments. 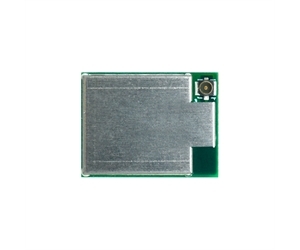 All PIXI series modules come standard with drivers for Android, Linux, Yocto and Ubuntu open source operating systems. PIXI-9377 is certified by the most critical government agencies, including European Union (CE, ETSI), United States (FCC), Canada (IC), Australia/New Zealand (RCM) and Japan (TELEC). 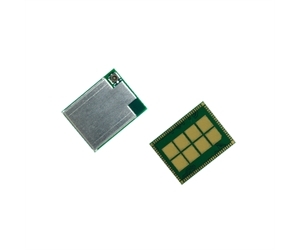 PIXI delivers all your IoT multi-mode communication needs in one ultra-compact and secure module series. It is specifically designed to enable better transmission rates, lower latency, better range and higher resistance to interference when two or more communication protocols – for example, Wi-Fi, Bluetooth or Thread - are needed to run concurrently on one system on chip. Multiple communication protocols in one chip mean you can collect more data from disparate communication protocols, while also giving you the flexibility to use the right protocol to suit the type of data and distance from your hub. 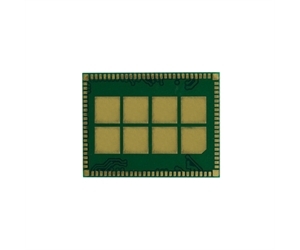 NXP KW41Z, Qualcomm QCA9377, Qualcomm QCA6174A and Qualcomm QCA9379 processors; connectivity via WiFi, Bluetooth and Thread; and u.FL, MHF4 connector or chip antenna, and PCIe, USB, I²S, SDIO, UART,SPI, I²C, PWM and GPIO signaling. Additionally, PIXI offers the latest and most stringent security, robust radio performance for noisy industrial environments, and a range of connector options to match your usage requirements. RF designers often face countless complex challenges that can add time and cost to an already tight development schedule. RF designs can encounter several critical issues like reduced antenna efficiency, high EMI, high power consumption or failed government certifications. When any of these problems occur, system’s development schedule will be at risk. By choosing to work with TechNexion, developers can take advantage of a wide range of plug-in IoT wireless communication modules that come fully tested, comply with the essential requirements and are certified by the most critical government agencies, including European Union (CE, ETSI), United States (FCC), Canada (IC), Australia/New Zealand (RCM) and Japan (TELEC). TechNexion PIXI IoT modules only incorporate components from suppliers who support our roadmaps. In addition, we support them with value added technical services such as life cycle management, revision control and end-of-life support. Like all TechNexion products, our PIXI wireless communication modules are designed to be easily deployed in an open source environment and come with free-of-charge drivers for open source software including Android, Yocto and Ubuntu versions. The drivers are easily accessible, not hidden behind sign up pages or passwords. Our IoT wireless communication modules come standard with drivers for the following operating systems: Android, Linux, Yocto and Ubuntu.